I have supported countless women create a life that is fulfilling, joyful, and vibrant. You too can have a life you love...but it takes more than wishing! It takes intention and the willingness to say yes to your own potential. Only you can take control of your life, but it's easier when you have a coach (and cheerleader). Don't wait for your work, your boss, your husband, your circumstances to change so you can be happy. Let me help you take your power back and assess your situation with a greater degree of clarity, honesty, curiosity, and compassion. …identify what you REALLY want in your life – you’ll have it in words. …release your self-defeating thoughts and negative cycles of behavior. …build a meaningful life plan - you will set clear goals and make healthy lifestyle changes to support your desires. …move you forward – you’ll be held accountable! …reveal YOUR truth and YOUR light. Group coaching offers an affordable way to get guidance and make positive change in your life. It is especially beneficial for women who crave being part of a supportive group that encourage ideas, next steps and action. As a group, we will follow my five-week signature system to a happier, healthier, happier, more fulfilling life. Click the "Group" button above to find out more. 1:1 coaching allows for a more personalized experience. You will get my full attention and a fresh perspective served up with love and accountability. It is perfect for those who need support on a specific challenge and want the flexibility to go at their own pace. Together, we will bring you back to your power in any situation. 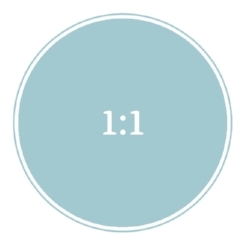 Click the "1:1" button above to find out more. Are you ready to shine but not sure if my approach is for you? Click the button below to set up a free exploratory call. You can ask me anything!